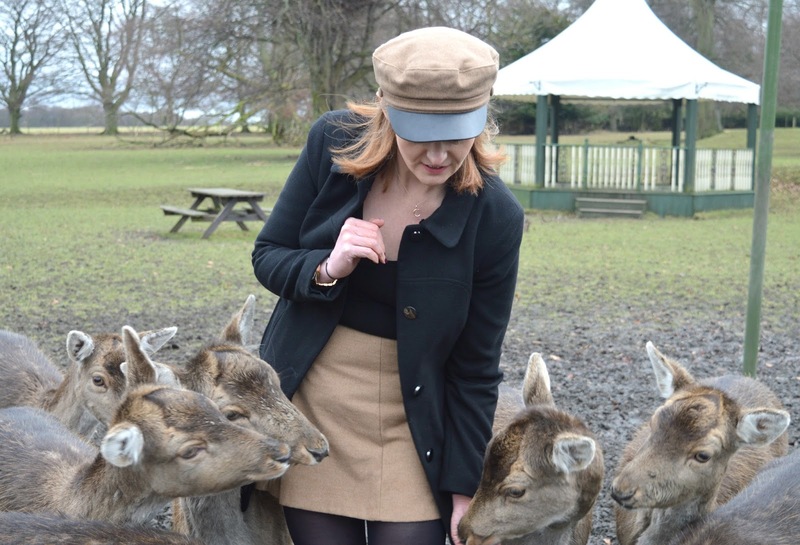 If I'm looking for inspiration for things to do in the North East Instagram has become my number one reference guide and it's how I recently discovered deer feeding at Whitworth Hall, the perfect activity for any animal lover. 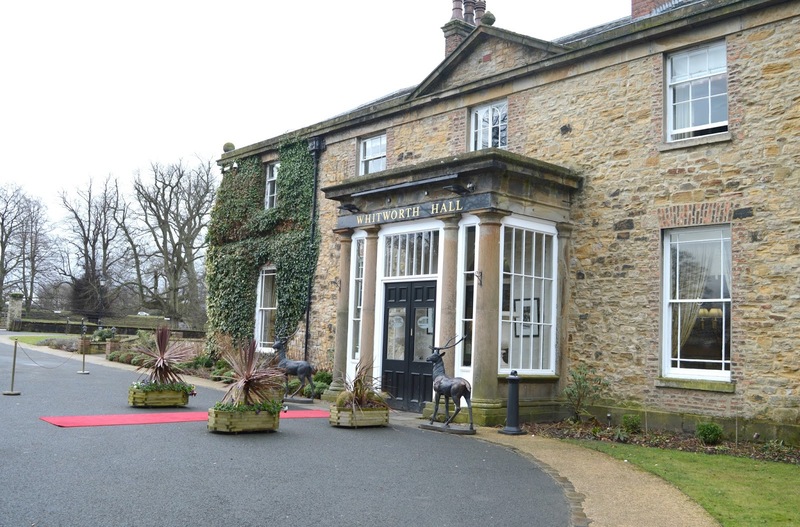 Six miles from Durham, Whitworth Hall is a country hotel that boasts its own deer park and ornamental lake - a perfect place to blow away the cobwebs and fight those Winter blues. We turned up on a pretty chilly Saturday afternoon and made our way into the hotel reception to get ourselves some food for the deed feeding. 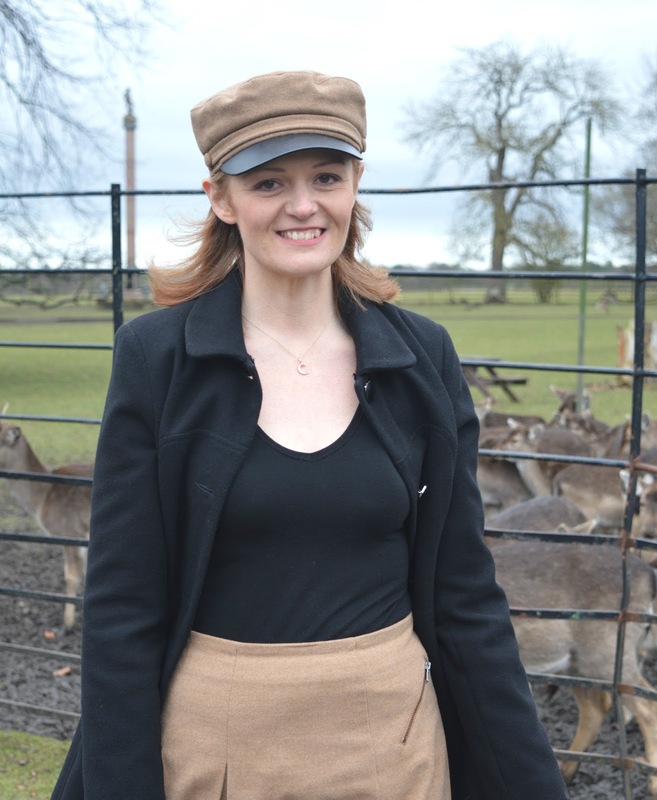 You can buy deer food for £1.00 a bag (or complimentary if you check in on Facebook) and you're welcome to make your way into the paddock to feed the deer. Clutching onto my huge brown paper bag of pellets I was very happy to have my wellies on as I made my way through the gate into the deer paddock as the ground was thick with very deep, wet, sludgy mud. 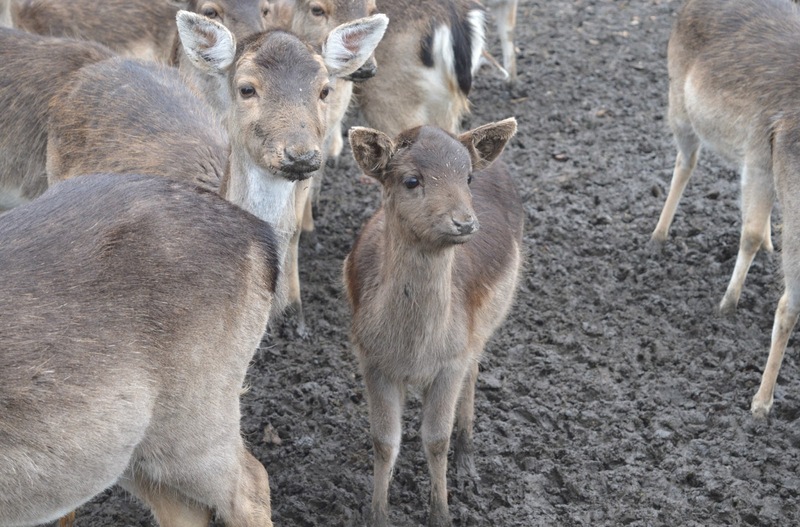 I soon realised that muddy ground also meant muddy deer and as they gathered round me I was aware that their cute mud covered noses were wiping all over my coat (good job they were cute!) 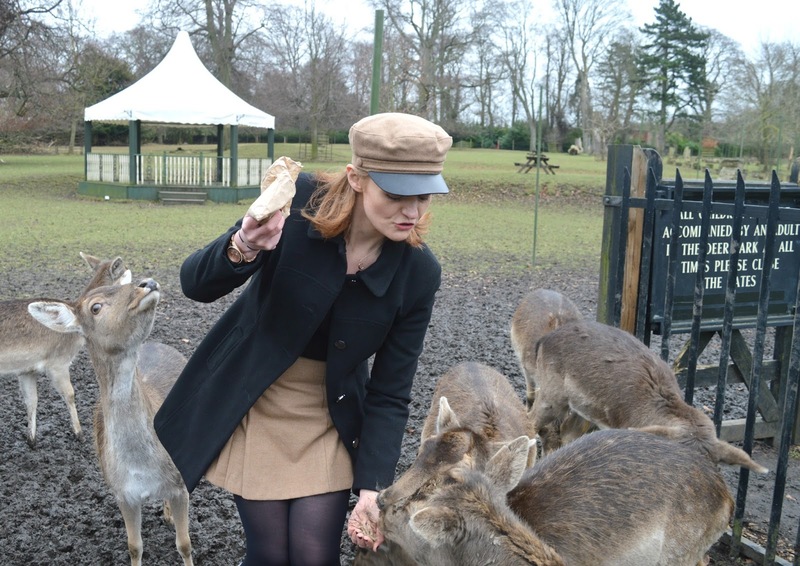 Their cheekiness didn't end there and before I knew it one very greedy deer had ripped my entire bag of food and had flung it on the floor. I made my way back to Reception, lesson learnt I decided to buy a second bag and this time keep my wits about me, these deer aren't silly, they know exactly when someone is heading their way with food. Second bag purchased and we decided to approach the gate with more caution this time, casually talking about the weather and last night's TV we thought we'd try and throw them off the scent. 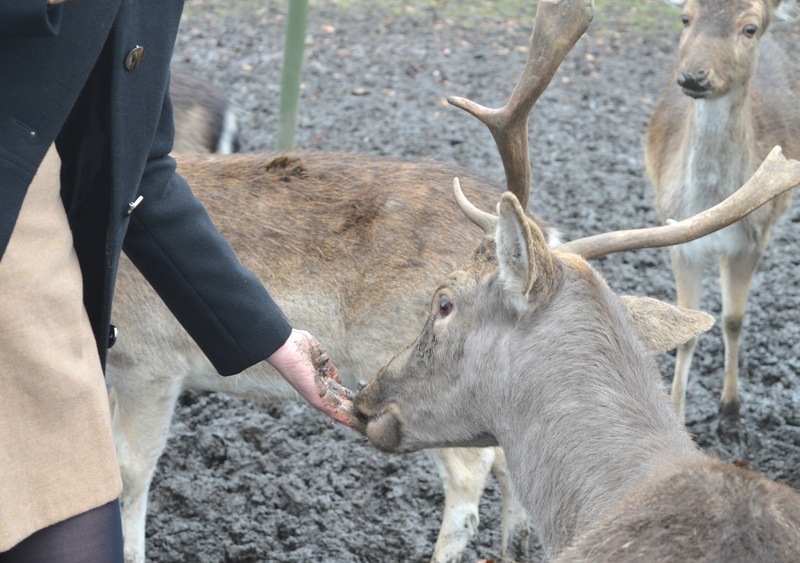 The Whitworth Hall deer aren't stupid though, despite hiding the bag of food they knew exactly why I was there. This time I entered the paddock with my hand of food high in the air, there was no way they were wrestling the paper bag off me this time! They were crowded around me immediately, all jostling for my attention, their hungry eyes focussed on me and their muddy little noses pressing into me. 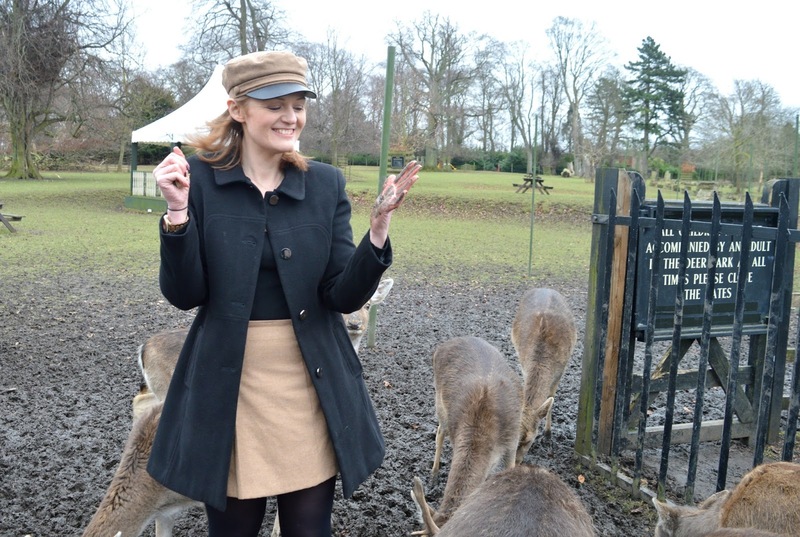 One thing I would say about deer feeding at Whitworth Hall is that it's not for anyone who's a little nervous around animals. These guys weren't messing about! 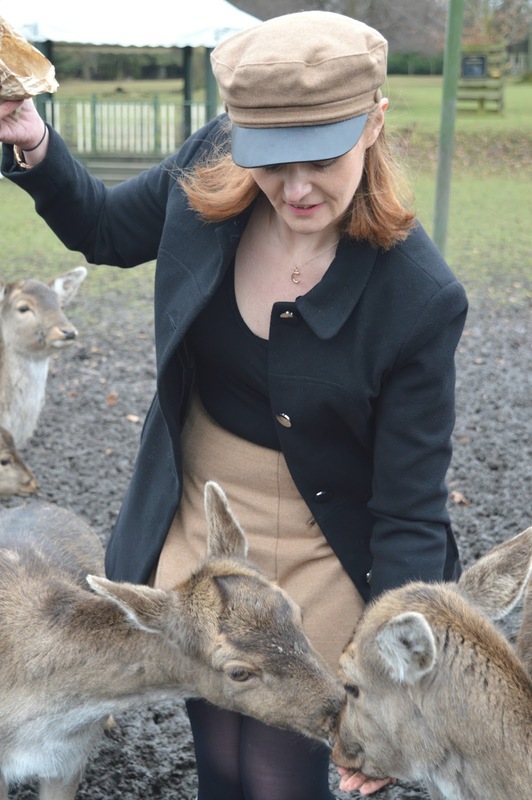 They were very tame and friendly but definitely enthusiastic and I think they would make some people pretty nervous. 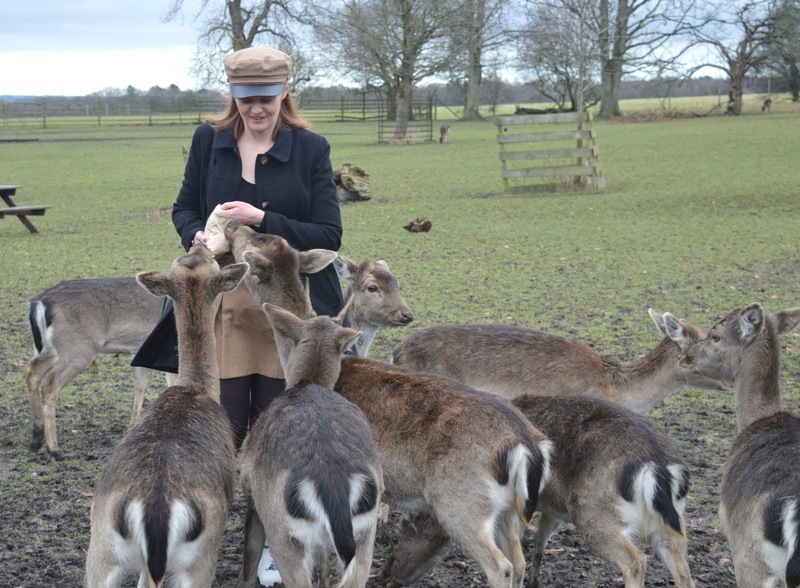 I soon learnt that when they got a little intense taking a handful of food and throwing it over my shoulder got rid of some of the crowd leaving me with just a few deer to fuss over. Sprinkling food into my hand I loved that I could feed them straight out of my palm and it took me quite a while to realise that I was actually getting pretty messy! As well as a dirty coat I now also had very very dirty hands! Ooops! Simon who had very sensibly decided to stay the other side of the fence was having a great laugh at my expense, watching me trudge about in the mud with a huge flock of deer at my heels covering me in dirt was his idea of a great way to spend a Saturday! But I didn't care how dirty I was getting, I was having too much fun to notice. 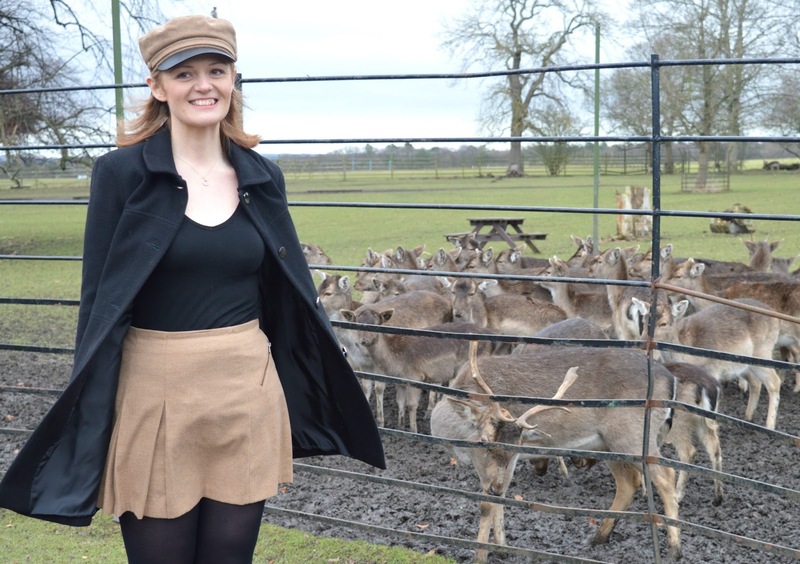 As a huge animal lover I was in my element surrounded by the deer and I loved fussing over the tiny babies, chatting to the stag (luckily his antlers were only tiny!) and telling off the over enthusiastic who were desperately trying to steal food off the others. It wasn't long before my bag of food was empty and I reluctantly made my way back over the fence to reality. I realised pretty quickly that washing my hands was going to be pretty tricky as a bride had just turned up at Whitworth Hall and I really didn't want to ruin someones special day by trudging through the hotel in my muddy boots with dirty hands. Thank goodness for baby wipes! 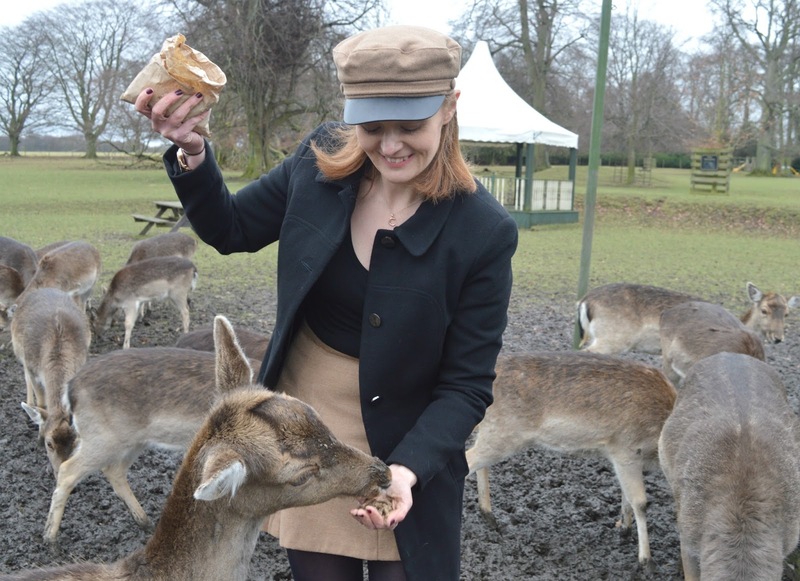 We loved our experience deer feeding at Whitworth Hall and we're hoping to return one day soon to try out some of their food. Love it. Fabulous blog. Come again and write another! i have never been so muddy in all my life! Yes, a trip in the Summer would have been far more sensible! They were definitely very very boisterous - I wouldn't be happy about taking young kids in there! Just don't go into the muddy bit ... or where head to toe waterproofs! Aww, how cute are these guys? !